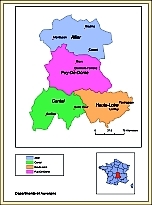 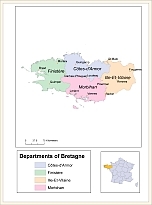 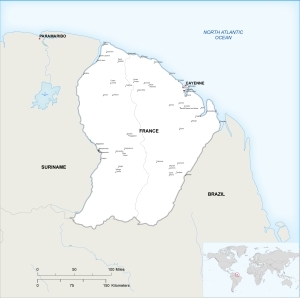 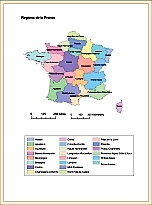 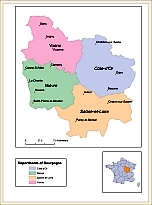 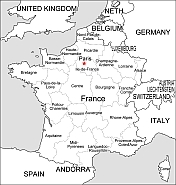 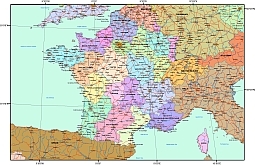 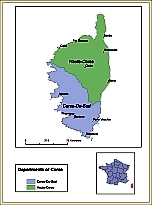 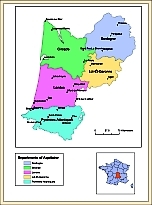 Editable royalty-free map of France in vector-graphic online store. 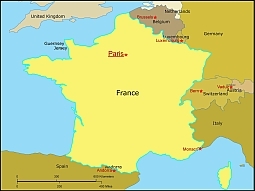 THE LARGEST COUNTRY IN western Europe, France includes the island of Corsica in the Mediterranean Sea.Two major mountain chains, the Pyrenees to the south and the Alps to the east, provide dramatic natural borders with neighboring countries. 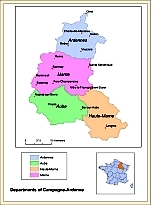 Several rivers, including the Loire, the Rhône, and the Seine, are important for transportation as well as irrigation of farmland. 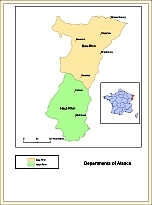 The states of Monaco and Andorra lie in the south.